Gerald “Jerry” Kerbis, 78, of Pullman, passed away Tuesday, October 30, 2018 at his home. He was born May 28, 1940 to Sam and Helen (Jaffe) Kerbis in Chicago, Illinois. Jerry grew up in Chicago, and attended Roosevelt High School, before he decided to leave and explore the world. When he returned to Chicago, he spent the next 27 years as a Sherriff’s deputy for the Cook County Sherriff’s office, retiring as a Deputy Sergeant. After retiring and moving to Florida, Jerry later went to work as a Court Deputy for Judge Tom Lynch and the Broward County Sherriff’s Department. Jerry was an active Mason and Shriner. 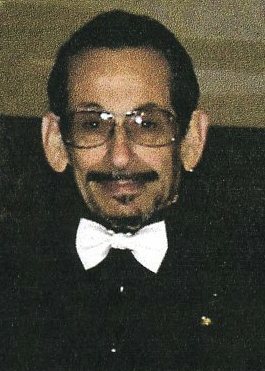 He served as President of the South Haven Shrine Club and the Child Care Chairman for Saladin Shriners of Grand Rapids. He also served as a member of the Board of Governors of the Shriners Hospital for Children – Chicago. Jerry is survived by his wife of 23 years, Sharon. Also, his daughter, Jill (Chris) Edwards of Portage, Indiana, his son, Joshua Kerbis of Chicago, Illinois, his stepsons, Jeff (Katina) Baudek of Joliet, Illinois and Randy (Kasha) Baudek of Western Springs, Illinois. Grandchildren - Maverick and Truman Edwards, Gavin and Aidan Kerbis, Emily Baudek and Patryk Lech, as well as several nieces and nephews, both in Israel and in the United States. A private Masonic Memorial Service will be held. Contributions may be made in Jerry’s memory to Shriners Hospital for Children – Chicago, 2211 N. Oak Park, Chicago, Illinois 60707 or to Saladin Shriners, 233 East Fulton Street, Suite 102, Grand Rapids, Michigan 49503.